Well, the season of prayer, fasting, and almsgiving is upon us once again, and people will be scrambling to find something to give up or good deeds/spiritually-fruitful activities to perform. 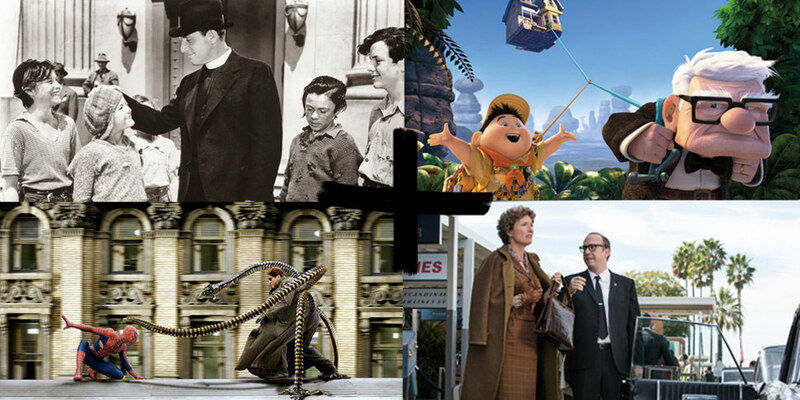 While watching movies may not be everyone’s idea of a fruitful Lenten activity (some people respectably sacrifice television for the season), there are several mainstream films that can be effective in helping us take a deeper look at ourselves and grow closer to God. 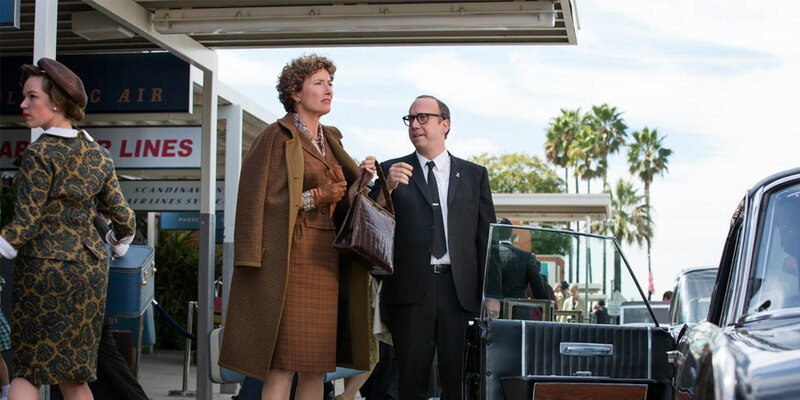 Here are ten movies with subtle but powerful Lenten themes. This is one of my all-time favorite movies, and I think its poignant depiction of unconditional neighborly love is particularly appropriate for the Lenten season. Pamela Travers, the decidedly grouchy British author of the Mary Poppins books, is quite rude to everyone she meets when she travels to the Walt Disney Company to discuss a film adaptation of her books. While this rudeness greatly irks most of the men and women she has to deal with at Disney, her assigned cab driver Ralph sees the tortured soul beneath this rudeness and persists in treating Pamela with unrelenting kindness. This unexpected neighborly love warms Pamela’s pain-ridden heart and compels her to humorously remark that Ralph is the only American she has ever liked. We can all learn from Ralph’s steadfast kindness and compassion as we encounter people in our own lives who may be rude but are likely just troubled souls desperate for love. Another one of my all-time favorites, this beautiful movie paints a profound picture of what it means to let divine charity and grace into our hearts, which is what we are all called to do during Lent. 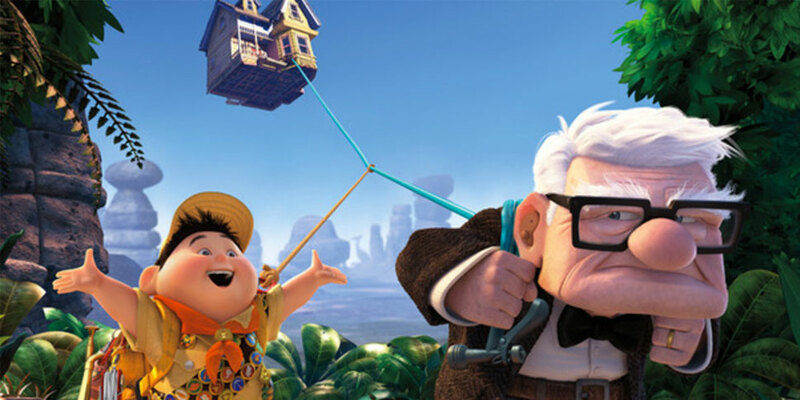 The once joyful and optimistic Mr. Carl Fredricksen has grown grouchy and cynical after the death of his beloved wife Ellie, and one of the only things that keeps him going is his sweet but ultimately unhealthy attachment to material remembrances of her (the chair she used to sit in, a picture of her as a child, etc.). When he embarks on an adventure to the place of his and Ellie’s childhood dreams and is unexpectedly accompanied by a bubbly but lonely little boy named Russell, he slowly but surely realizes that the only true way to keep the spirit of Ellie alive is not by wallowing in material remembrances of her, but rather by adopting her generously loving heart and imparting its warmth to the child of God who has been placed in his protection. With the help of Ellie’s intercession, Carl is filled and fueled by the divine grace he needs to break free from his material attachments and give Russell the love that he needs. We all can receive this same wonderful spiritual renewal during Lent if we humbly open our hearts and ask God to send His divine charity into them. 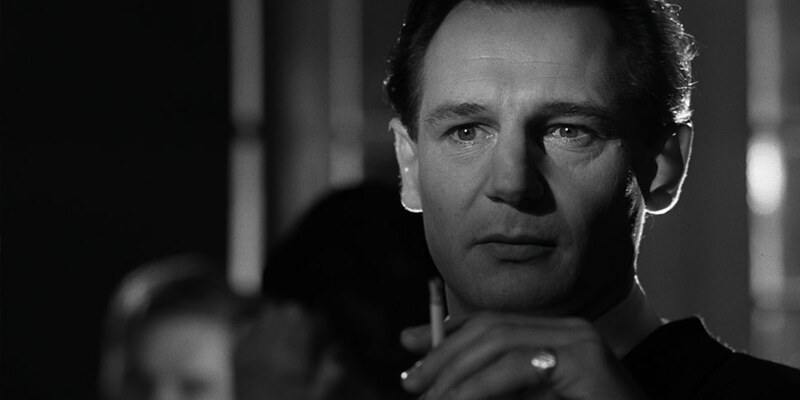 There are few films that better depict the mysterious power of divine grace and redemption than Steven Spielberg’s timeless masterpiece Schindler’s List. As the film begins, Oskar Schindler is an egotistical, womanizing businessman who supports the Nazi Party for the sake of smug material security. When the Jews he hires to work in his enamel factory begin to be hauled off to concentration camps, he has a mysterious change of heart that compels him to risk his financial future and his whole life for the sake of saving as many lives as he can. While we never learn what specifically triggers Schindler’s profound change of heart, we can safely surmise that it has something to do with the providential infiltration of divine love and grace into his sinful soul, a providential infiltration that we are all called to humbly accept during this season of Lent. This superhero classic from director Sam Raimi profoundly illustrates several Lenten truths like the difficult but ultimately rewarding path of self-denial, the mysterious grace and power behind forgiveness, and the possibility of redemption even for those who have fallen into the darkest depths of evil. I will not spoil the plot points of the movie for the sake of those who have not yet seen it, but you should really see it if you have not. 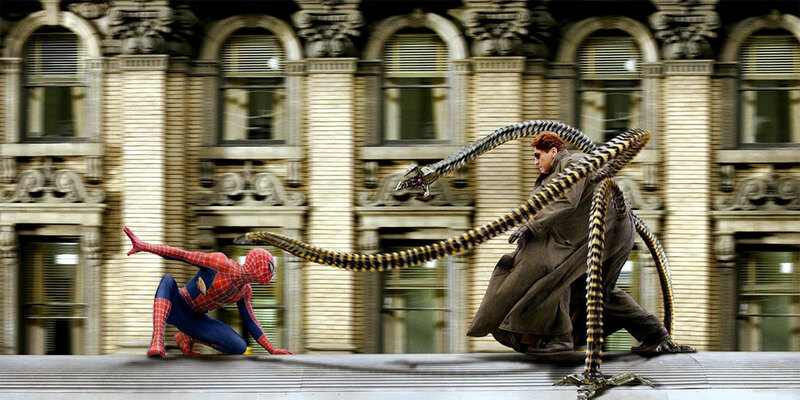 Even two franchise reboots later, it is still the best Spider-Man movie. 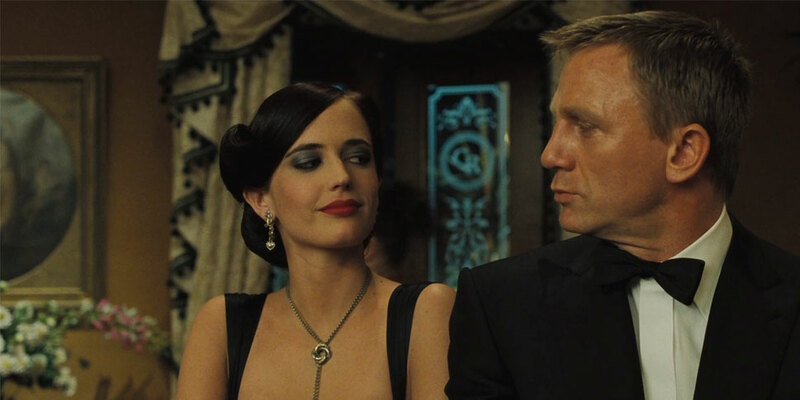 The best of the James Bond films and the only one to contain significant character development, Casino Royale is as much of a masterpiece as an action thriller can be and surprisingly contains some relevant Lenten themes. James Bond is a tortured soul, orphaned since a young boy and longing secretly but desperately for the love and affection he has never received in life. Discouraged and despairing in his so-far fruitless search for love, he becomes a government spy/assassin, numbing the pain of his own sad life through taking the lives of others. When he meets the beautiful and enigmatic Vesper Lynd on one of his missions, the hope of loving and being loved is briefly rekindled in his hollow heart. Vesper seems to see right into his troubled soul, and she gently asks him one night, “It doesn’t bother you? Killing all those people?” He coolly replies, “Well, I wouldn’t be very good at my job if it did.” She then memorably challenges, “I don’t believe you. You’ve got a choice, you know. Just because you’ve done something doesn’t mean you have to keep doing it.” Such are the words we could all benefit from hearing during Lent, a time when we take a deep look at our sin-stained souls and resolve that the blotches on our past need not remain on our present nor our future. 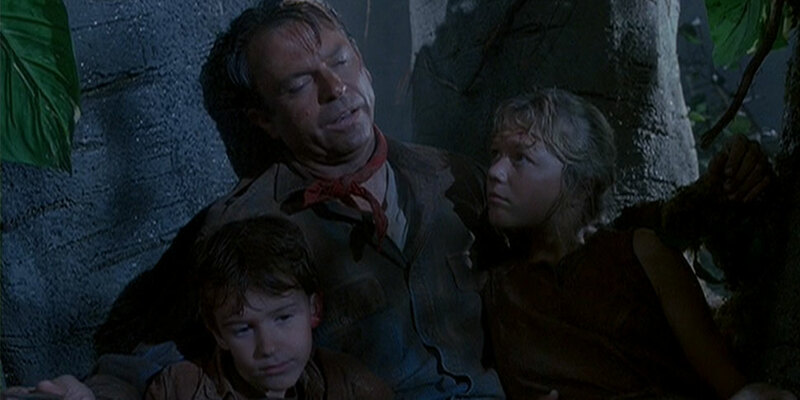 Steven Spielberg’s adaptation of Michael Crichton’s best-selling novel Jurassic Park is many noble things, one of which is a touching transformation story about how a formerly kid-despising paleontologist becomes a loving and protective father figure in the face of great danger. While Lent is not necessarily a time of great danger, it is a time when we are given the opportunity to take a look at our less admirable personality traits and try our best to reverse them into positive, love-emanating ones. What should we do when we encounter the transcendental in our lives? Should we proclaim this encounter to the world and risk being called crazy, or should we keep it to ourselves and risk it tearing us apart as we quietly try to find out more about what it’s supposed to mean? 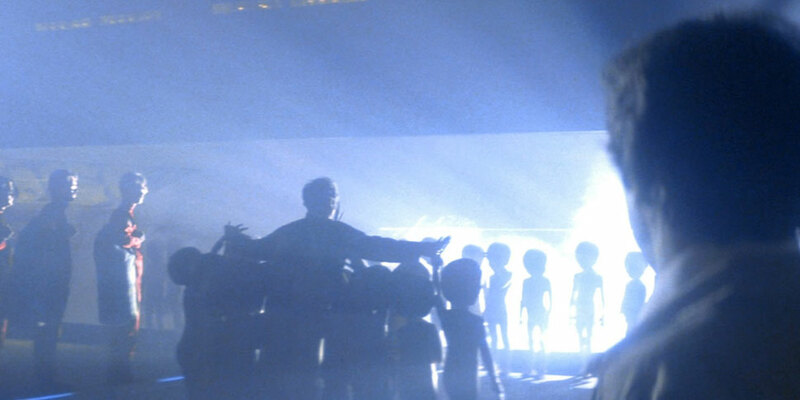 Such are the important questions Steven Spielberg asks in his timeless sci-fi classic Close Encounters of the Third Kind. When the amiable but bored-with-life husband/father Roy Neary (Richard Dreyfuss) has a “close encounter of the third kind” with a UFO from the starry skies, he becomes inexplicably excited about the possibility of his life finally taking on a deeper and more transcendental meaning, an excitement that leads him across the country to encounter the transcendental in person. As Lent progresses, we too are called to seek out and encounter the transcendental through the sacraments that our Heavenly Father has graciously given us, sacraments that have the power to profoundly change our lives. Some people may think we are crazy, but who cares? True and lasting happiness is well worth it. 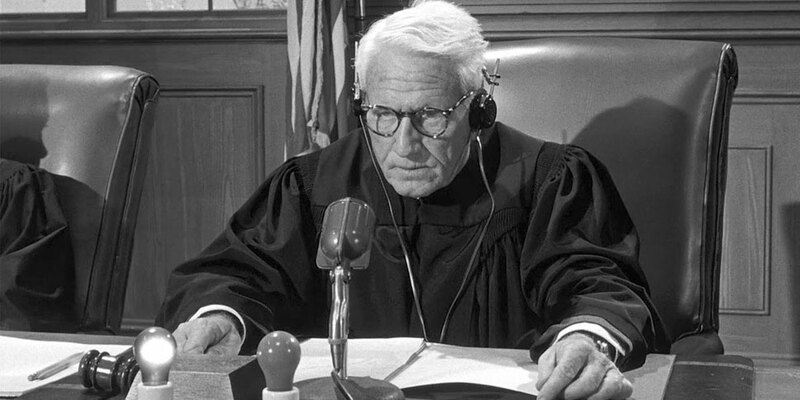 A not super well-known but immensely powerful film about the post-WWII Nuremberg trials of Nazi war criminals, Judgment at Nuremberg boldly carries the incredibly relevant message that to destroy a single human life is every bit as evil as destroying millions. It also challenges us not to immerse ourselves in Earthly pleasures and comforts so much that we ignore and forget the plights of our fellow human beings (the scene with Spencer Tracy and Marlene Dietrich surrounded by post-war merriment in a restaurant is particularly memorable). Lent is just as much about doing as it is about not doing (in fact, it’s really much more about doing), so let us become extra diligent over these next 40 days in fighting for the priceless dignity of all human life and giving the utmost attention to the needs of our fellow Man. 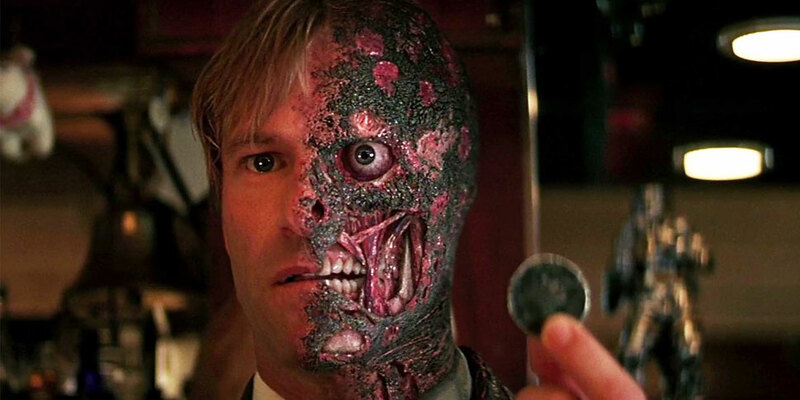 “You either die a hero, or you live long enough to see yourself become the villain.” So go the haunting words of the current hero but future villain Harvey Dent in the middle of The Dark Knight, Christopher Nolan’s ethically-compelling superhero masterpiece. We have been told by the Good Lord himself that we know not the day nor the hour when our lives will end. While when it comes to sin, it’s easy to say, “Today I’ll be the villain; tomorrow I can be the hero,” we are never guaranteed an Earthly tomorrow, so we must strive to do the heroic thing every moment of our lives lest we risk dying as villains. To be heroic, of course, requires a little (or rather a lot of) help from our Heavenly Friend, who is always offering the graces we need to act nobly, especially during Lent. These wise words beautifully capture what Boys Town and the season of Lent are really all about: escaping pride, which is the root of all sin, by constantly acknowledging the goodness in others and letting Jesus, not our own selfish motivation, be the force that enables our human hearts to love and forgive genuinely. Well, that’s all folks! 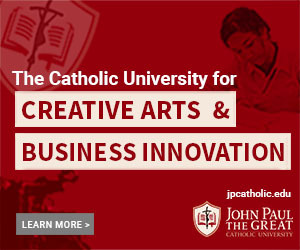 What movies do you think are beneficial Lenten viewing?